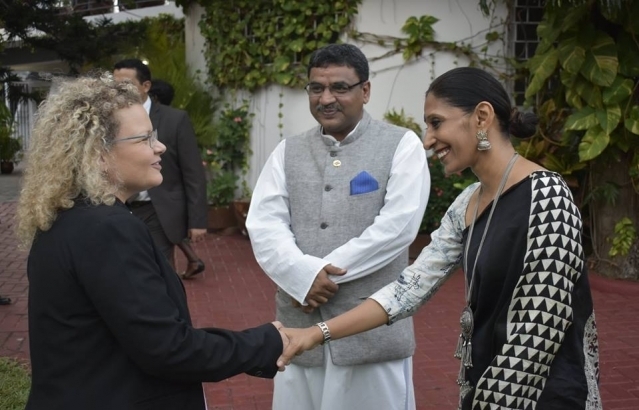 High Commission of India, Accra, Ghana : Photo Gallery - H.E. J. 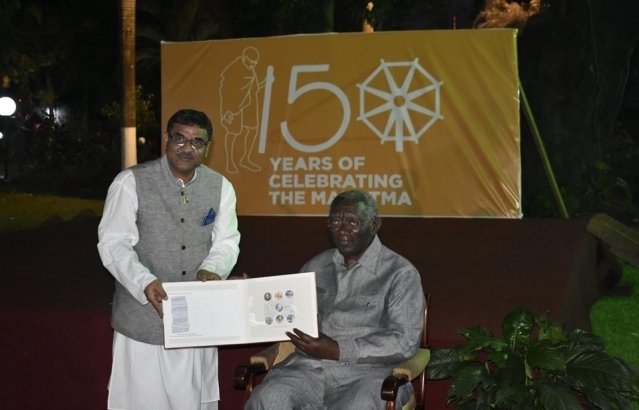 A. Kufuor, former President of Ghana and Chief Guest released a special commemorative postal stamp issued by Department of Posts of India to launch year long celebrations of the 150th birth anniversary of Mahatma Gandhi at an event at India House on 2nd October. H.E. 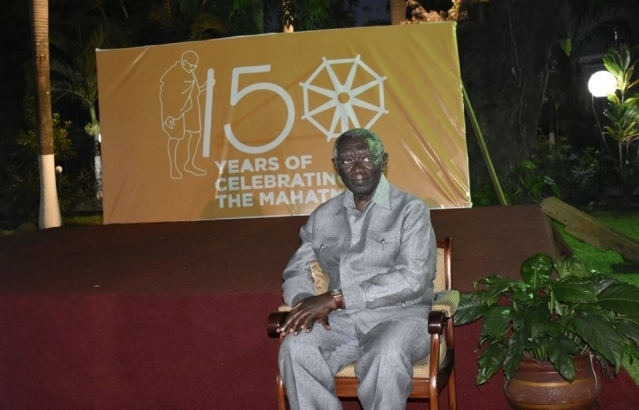 Kufuor, also delivered an address on life and message of Mahatma to an audience comprising Hon. Deputy Minister for Communications, members of Parliament, Ambassadors and members of diplomatic corps, ITEC alumni and leading members of Indian and Ghanaian community. H.E. J. 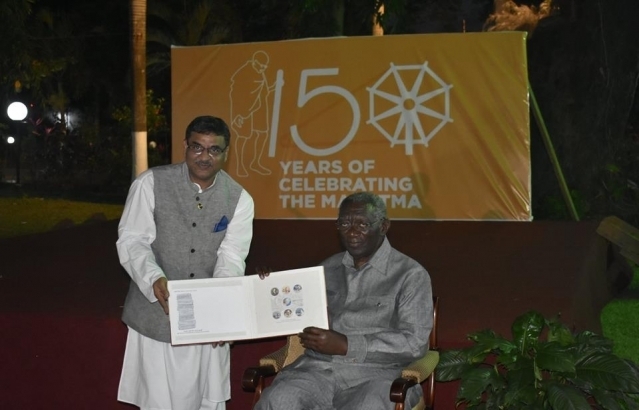 A. Kufuor, former President of Ghana and Chief Guest released a special commemorative postal stamp issued by Department of Posts of India to launch year long celebrations of the 150th birth anniversary of Mahatma Gandhi at an event at India House on 2nd October. H.E. 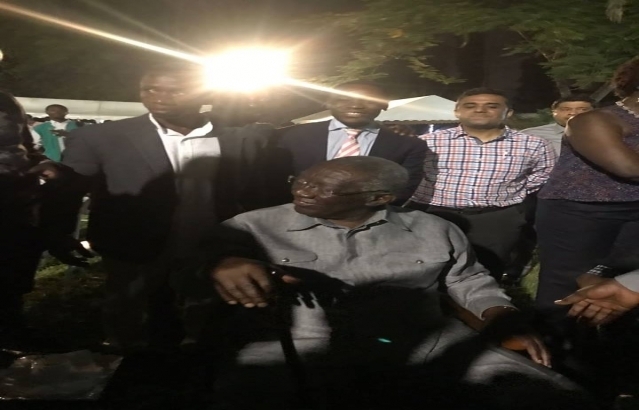 Kufuor, also delivered an address on life and message of Mahatma to an audience comprising Hon. Deputy Minister for Communications, members of Parliament, Ambassadors and members of diplomatic corps, ITEC alumni and leading members of Indian and Ghanaian community. Official launch of the Volta Trade Investment and Cultural Fair 2019 organized by the Volta/OTI Regional Coordinating Councils. The event was inaugurated by Hon’ble Regional Minister and Chairman of Planning Commission of Ghana Dr. Archibald Yao Letsa and H.E. Birender Singh, High Commissioner of India at Ho Technical University on 11th April, 2019. High Commissioner of India presented a set of books to Ho Technical University. India-Ghana Business Seminar was organized by the High Commission of India in Ghana in collaboration with the Ghana-India Trade Advisory Chamber at Accra, Ghana on 05th March, 2019. The annual ITEC Day event was organised at India House by High Commissioner of India to Ghana, H.E. Mr. Birender Singh Yadav on 27th February, 2019. 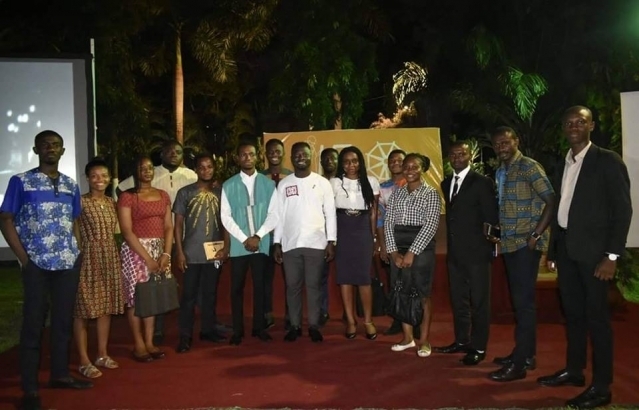 The event was graced by Dr. Ziblim Iddi, Deputy Minister for Tourism and Culture, members of the diplomatic corps, officers of Ministry of Foreign Affairs and Regional Integration, officers of other ministries of Ghana. 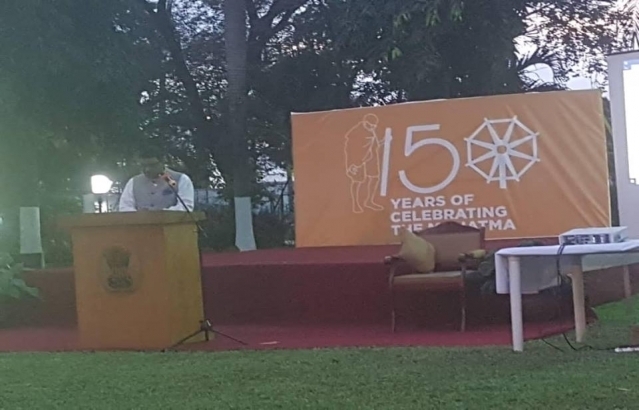 The High Commissioner in his address said that the ITEC programme has benefitted over 2000 students and professionals including defence personnel. During the event two dance performances were performed. 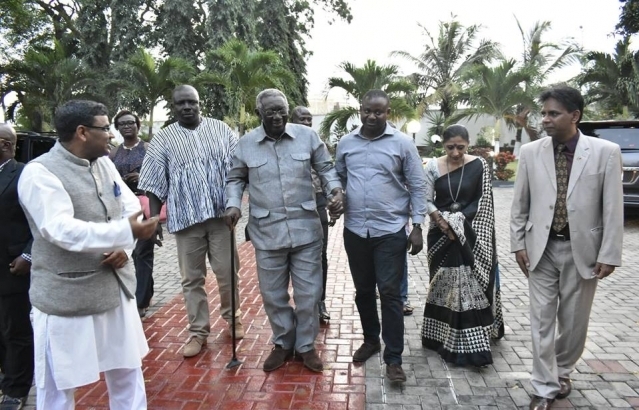 Unveiling of relocated Statue of Mahatma Gandhi at India-Ghana Kofi Annan Centre for Excellence in ICT, Accra on Wednesday, 27th February, 2019 by Hon’ble Minister of Foreign Affairs and Regional Integration of the Republic of Ghana in presence of High Commissioner of India to Ghana and Hon’ble Deputy Minister for Communication of Ghana. 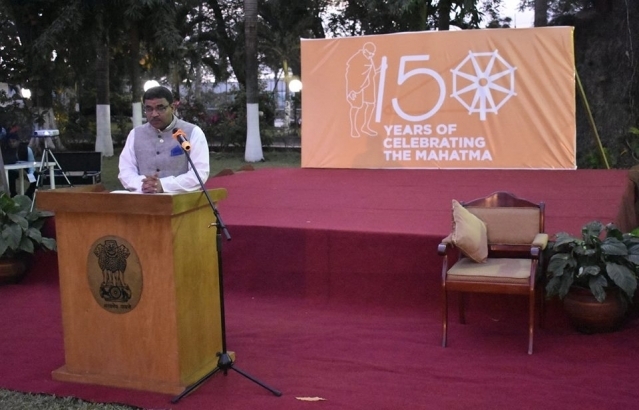 The High Commission of India in Accra celebrated the National Voters Day (NVD) on 25th January, 2019 at the Multi-Purpose Hall of the High Commission. 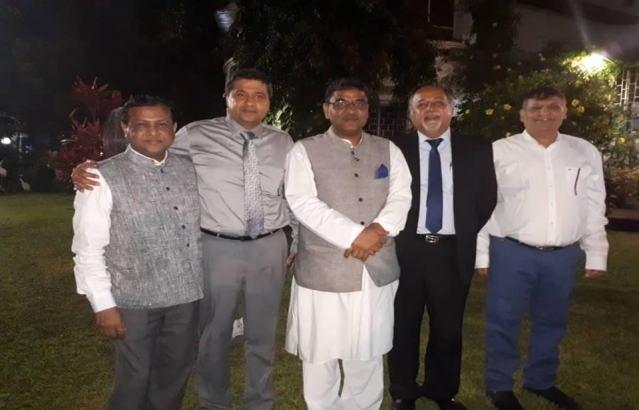 On this occasion, the High Commissioner of India to Ghana also administered the ‘Voters Pledge’ to the members of the various regional Indian Associations and overseas Indians who were present and also to the all India-based officials of the High Commission. High Commissioner also encouraged all NRIs to enroll and participate in the elections process. 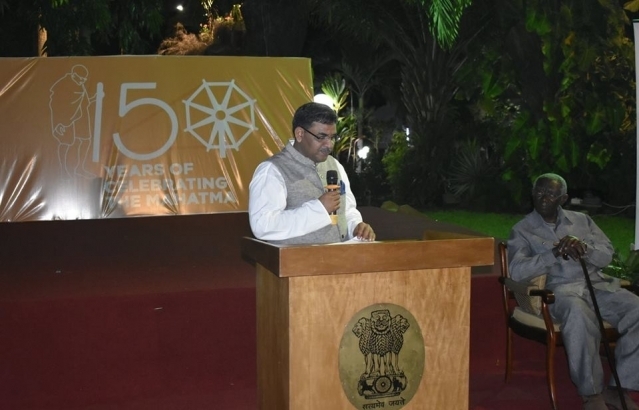 The High Commission of India in Accra (Ghana) successfully organized Pravasi Bharatiya Divas (PBD 2019) and World Hindi Day in the Multipurpose Hall on 9th January 2019. The teachers and the students from Delhi Public School International (DPSI) and Al-Rayan School in Ghana participated in the event. 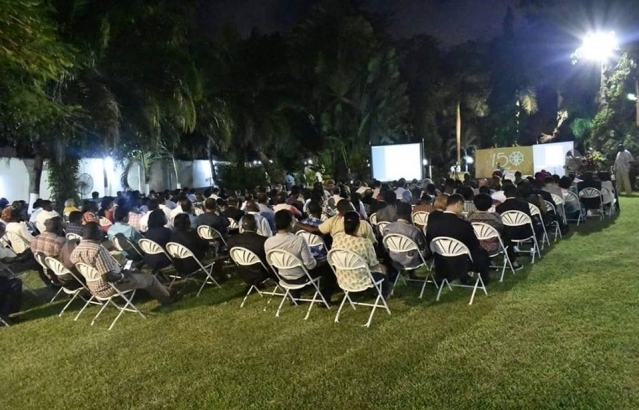 The members of various regional and Indian Associations including Indian diaspora community attended the event. Handing Over Ceremony of Fish Processing Plant at Elmina, Cape Coast. 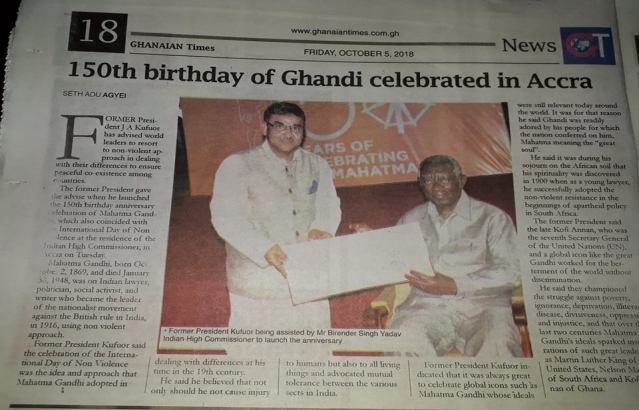 High Commission of India in Accra presented a gift of Water tank to the 37 Military Hospital, Accra on the occasion of launch of 150th Birth Anniversary of Mahatma Gandhi on 2nd October 2018. The High Commission also gifted medicines to the Maternity Ward, which is named as “Gandhi Ward” at the 37 Military Hospital. A reception was held on 24th August 2018 at the India House to welcome Defence Advisor based in Abuja and accredited to Ghana on his maiden visit to Ghana. A minute silence was observed in memory of former Prime Minister Shri Atal Bihari Vajpayee, former UNSG Mr. Kofi Annan and victims of Kerala floods. 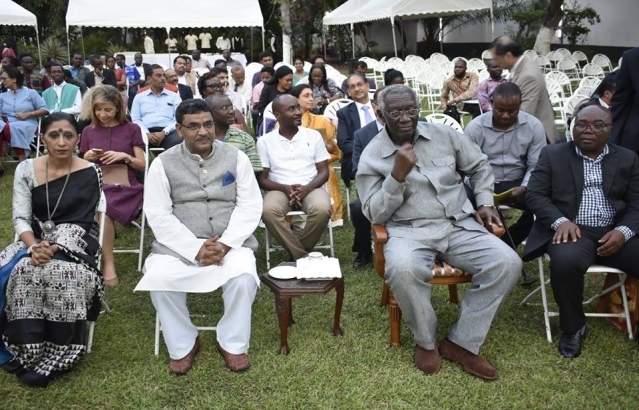 Prime Minister's address at the Parliament of Uganda on 25th July was screened and High Commissioner reiterated 10 Principles for India's engagement with Africa.